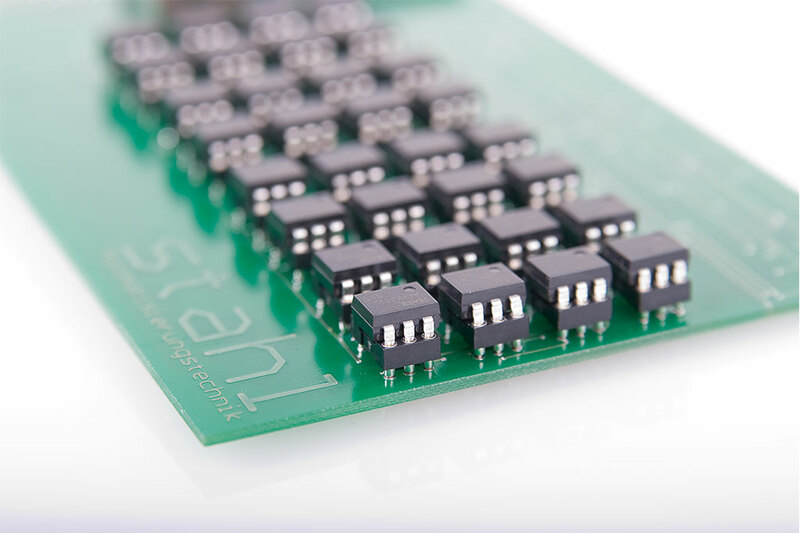 All project- and product-related development takes place in-house at STAHL Automation Technology, ensuring short development times and fast feedback to changes in project specifications and systems outlay. Our team of experienced engineers and technicians with their areas of expertise in mechanical design and construction, electrical designing, electronics and software development ensure efficient product development. 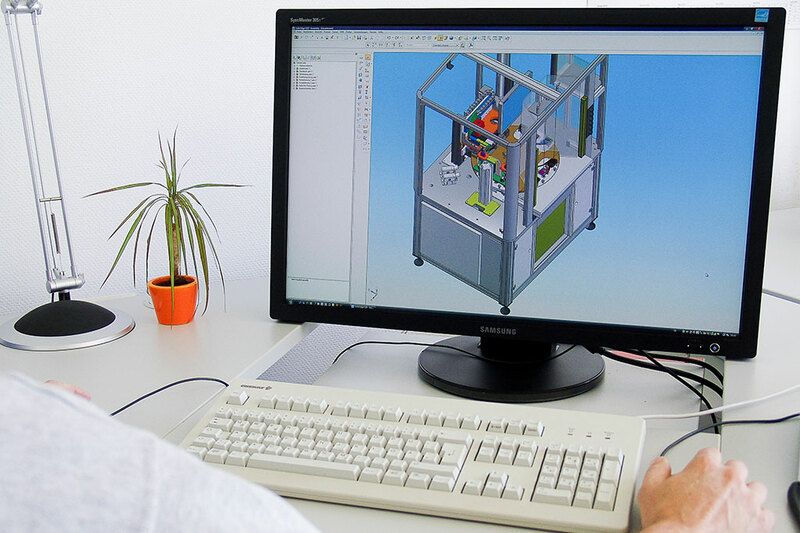 For mechanical design and construction of devices and systems, we rely on modern CAD workstations with 3D CAD Software SolidEdge from Siemens, with which we can read-in and process data from all common data formats. Since we have our own construction facility, we are able to develop the mechanics completely in our own company. For complex production lines, for which we deliver individual stations or cells, we work hand-in-hand with the design and construction departments of our partners and customers to achieve the best possible overall results. 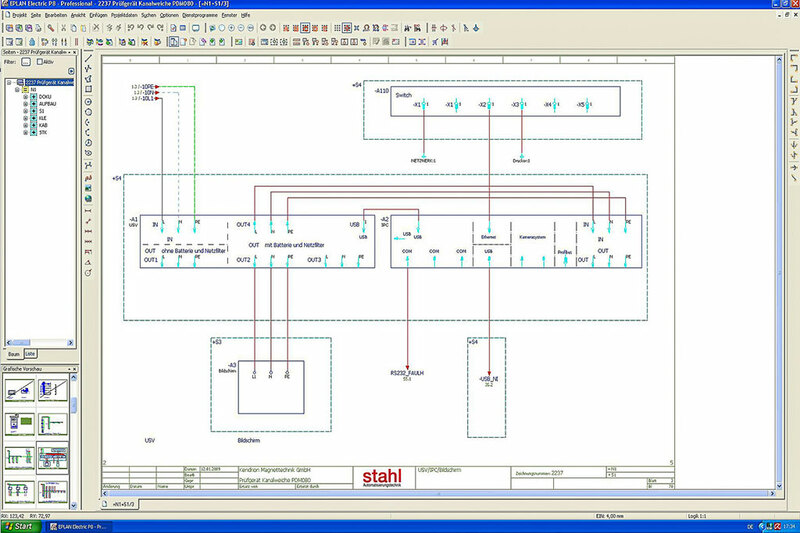 At our EPlan supported CAD workstations, our electrical designers create the groundwork for reliable wiring, and timely and quick commissioning as well as proper electrical documentation. For optimal planning of switch cabinets, testing technology and the system wiring, our electrical designers work closely with electronics development and our construction department. A well-thought-out electrical installation and the intelligent placing of components which are sensitive to interference is decisive for smooth functioning and safe operation. Depending on the production location our engineers plan and select specific components compliant with the regulations of the destination country. For many metrological applications, electronic functions need to be concentrated on very small, limited space to achieve precise measurement, reliable operation and short cycle times. In addition, well-designed electronics are a major cost saver. With our wide range of standard modules, developed in-house, we are able to meet all common measuring tasks and requirements. New modules are being developed for specific tasks if needed. Existing modules are constantly improved to deliver outstanding results for even the most demanding needs in quality control or to incorporate latest state-of-the art technology. Electronics development is our core competence and is done solely in-house using our extensive know-how in electrical metrology and our experience in demanding industrial applications. Very often, it’s just small details which decide whether precise measurements can be performed reliably and are a critical factor to achieve ever shorter cycle times. Contact us for an evaluation of your next industrial measuring application.